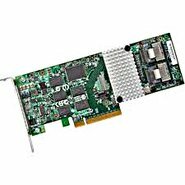 Dell - GP298 DELL - PERC 5/I PCI-EXPRESS SAS RAID CONTROLLER FOR POWEREDGE 1950/2950 WITH 256MB CACHE (GP298). NEW BULK. IN STOCK. SHIP SAME DAY. 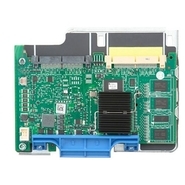 Dell - GU186 DELL - PERC 5/IR SINGLE CHANNEL PCI-EXPRESS SAS RAID CONTROLLER FOR POWEREDGE840 (GU186). NEW BULK. IN STOCK. SHIP SAME DAY. Dell - UN939 DELL - PERC 5/IR SINGLE CHANNEL PCI-EXPRESS SAS RAID CONTROLLER FOR POWEREDGE840 (UN939). NEW BULK. IN STOCK. SHIP SAME DAY. 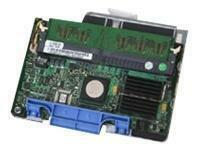 Hewlett Packard - 263697-B21 HP/COMPAQ - SMART ARRAY 5I PLUS ULTRA3 RAID CONTROLLER WITH 64MB CACHE (263697-B21). NEW BULK. IN STOCK. SHIP SAME DAY. 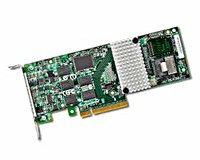 Hewlett Packard - 274400-001 HP/COMPAQ - SMARTARRAY 5I PLUS ULTRA3 SCSI RAID CONTROLLER (BBWC) ENABLER FOR ML370 G2 (CARD ONLY) (274400-001). NEW BULK. IN STOCK. SHIP SAME DAY. 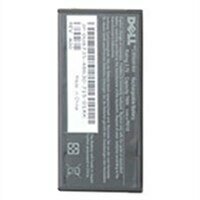 Dell - XM771 DELL - PERC 5I SAS RAID CONTROLLER FOR POWEREDGE 1950 2950 WITH 256MB CACHE (XM771). NEW BULK. IN STOCK. SHIP SAME DAY. Dell - GT281 DELL - PERC 5I SAS RAID CONTROLLER FOR POWEREDGE 1950 / 2900 WITH 256MB CACHE (GT281). NEW BULK. IN STOCK. SHIP SAME DAY. 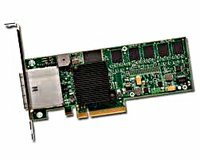 Dell - The PERC6/i Integrated SAS RAID Controller Card from Dell provides integrated RAID capabilities. The Adapter comes with 256 MB of integrated DDR2 cache for quick storage. This PCIe based card supports PowerEdge internal storage. 3 Ware - LSI00216 3WARE - SAS 4 INTERNAL PORTS RAID 0/1/5/6/10/50 512MB PCI-E X8 LP BOX (LSI00216). NEW FACTORY SEALED. IN STOCK. SHIP SAME DAY. 3 Ware - LSI00215 3WARE - SAS 4 INTERNAL PORTS RAID 0/1/5/6/10/50 512MB PCI-E X8 LP SFF-8087 KIT WITH CABLES (LSI00215). NEW RETAIL FACTORY SEALED. IN STOCK. SHIP SAME DAY. 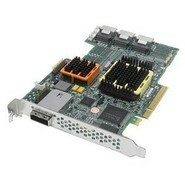 LSI Logic - LSI00144 LSI LOGIC - 4 INTERNAL PORTS RAID 0/1/5/50/6 64BIT 128MB PCI-E X4 LP KIT ROHS (LSI00144). NEW BULK. IN STOCK. SHIP SAME DAY. 3 Ware - LSI00214 3WARE - SAS 8 INTERNAL PORTS RAID 0/1/5/6/10/50. 512MB PCI-E X8 LP-BOX (LSI00214). NEW FACTORY SEALED. IN STOCK. SHIP SAME DAY. 3 Ware - LSI00213 3WARE - SAS 8 INTERNAL PORTS RAID 0/1/5/6/10/50 512MB PCI-E X8 WITH CABLES (LSI00213). NEW RETAIL FACTORY SEALED. IN STOCK. SHIP SAME DAY. LSI Logic - LSI00159 LSI LOGIC - SAS 8 EXTERNAL PORTS RAID 0/1/10/5/50/6 64BIT 512MB PCI-E X8 MD2 LP NO CABLE BOX ROHS (LSI00159). NEW BULK. IN STOCK. SHIP SAME DAY. 3 Ware - LSI00242 3WARE - SAS 4 INT. 4 EXT. PORTS RAID 0/1/5/6/10/50 512MB PCI-E X8 LP-BOX (LSI00242). NEW FACTORY SEALED. IN STOCK. SHIP SAME DAY. 3 Ware - LSI00241 3WARE - SAS 4 INT. 4 EXT. PORTS RAID 0/1/5/6/10/50 512MB PCI-E X8 (LSI00241). NEW FACTORY SEALED. IN STOCK. SHIP SAME DAY. 3 Ware - LSI00243 3WARE - SAS 8 EXT. PORTS RAID 0/1/5/6/10/50 512MB PCI-E X8 LP-BOX (LSI00243). NEW FACTORY SEALED. IN STOCK. SHIP SAME DAY. 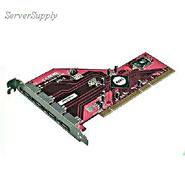 Adaptec - 2266900-R ADAPTEC - 5Z 5805Z 8-PORT PCI EXPRESS 8X SAS RAID CONTROLLER WITH 512MB CACHE. NO CABLE (2266900-R). NEW BULK.IN STOCK. SHIP SAME DAY. 3 Ware - LSI00250 3WARE - SAS 8 EXT. PORTS RAID 0/1/5/6/10/50 512MB PCI-E X8 LP (LSI00250). NEW FACTORY SEALED. IN STOCK. SHIP SAME DAY. 3 Ware - LSI00252 3WARE - SAS 16 INT. 4 EXT. PORTS RAID 0/1/5/6/10/50 512MB PCI-E X8 BOX (LSI00252). NEW FACTORY SEALED. IN STOCK. SHIP SAME DAY. 3 Ware - LSI00251 3WARE - SAS 24 INT. 4 EXT. PORTS RAID 0/1/5/6/10/50 512MB PCI-E X8 BOX (LSI00251). NEW FACTORY SEALED. IN STOCK. SHIP SAME DAY.